Where did evil come from? Why do innocent people suffer? 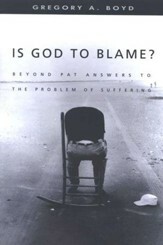 Why doesn't God do something? Is the devil for real? How could a loving God send people to hell? Is there really a heaven? 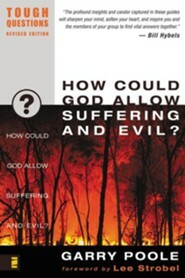 This revised edition of Tough Questions, designed for use in any small group setting, is ideal for seeker small groups. Based on more than five years of field-tested feedback, extensive improvements make this best-selling series easier to use and more appealing than ever for both participants and group leaders. This revised edition of Tough Questions, designed for use in any small group setting, is ideal for use in seeker small groups. Based on more than five years of field-tested feedback, extensive improvements make this best-selling series easier to use and more appealing than ever for both participants and group leaders. 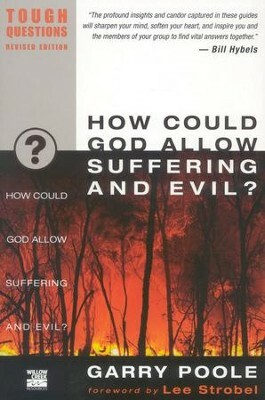 The Tough Questions Series How can an all-powerful God allow suffering? Is Jesus really the only way to God? Why should I trust the Bible? Tough questions. Reasonable questions. The kinds of challenging questions you, or someone you know may be asking, that are worth taking time to explore. In six sessions designed to get small groups thinking and interacting, each guide in the Tough Questions series deals frankly with objections commonly raised about Christianity. Youll engage in the kind of spirited dialog that shows the Christian faith can stand up to scrutiny. DONT ALL RELIGIONS LEAD TO GOD? Dont All Religions Teach Basically the Same Thing? Isnt It Enough to Be Sincere? Whats so Different About Christianity? Arent Mormons and Jehovahs Witnesses Christians Too? Is Jesus Really the Only Way to God? What Happens to People Whove Never Heard of Jesus? As Willow Creek Community Church's key evangelism leader for over sixteen years, Garry Poole is the innovator of seeker small groups and a strategist of creative outreach initiatives. Passionate about reaching people for Christ, Garry and his team have trained thousands of leaders to launch seeker small groups in their own settings. His award-winning book, Seeker Small Groups, provides a detailed blueprint for facilitating small group discussions that assist spiritual seekers with investigating Christianity. 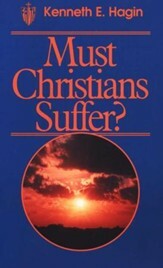 He also wrote The Complete Book of Questions, a collection of 1001 conversation starters and numerous group study guides including The Three Habits of Highly Contagious Christians; The Tough Questions Series, and Experiencing the Passion of Jesus (with Lee Strobel) to accompany Mel Gibsons film, The Passion of the Christ. 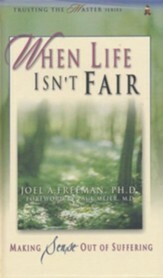 In 2005, it became the first discussion guide ever to receive the prestigious Charles Kip Jordon Christian Book of the Year award. Garry lives in suburban Chicago. I'm the author/artist and I want to review How Could God Allow Suffering and Evil? 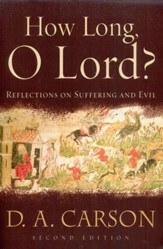 Tough Questions, Revised Edition.